VOGONS • View topic - Software Like Display Driver Uninstaller for Win9X? Software Like Display Driver Uninstaller for Win9X? Quick question: Does anybody know if there is a version of Display Driver Uninstaller for Windows 9X, software just like it for 9X, or manual methods for completely removing all Nvidia and ATI driver traces and files from the system? I have now replaced the graphics card in my Pentium 4 machine 3 times already, and I feel that a thorough cleaning of the registry and filesystem would be desired at this point. I kind of know how to gut the leftovers of the drivers (for example, deleting all of the Nvidia/ATI folders and registry keys/folders, but I know that there are the files that the drivers placed in the C:\WINDOWS directory and probably elsewhere, and I am unsure what those files are). Re: Software Like Display Driver Uninstaller for Win9X? I have something called "Driver Cleaner" on a backup DVD that I downloaded from Driver Heaven some time around 2004 or 2005. The download link for "DC3Setup_33.zip" doesn't work but since the file is tiny I'll attach it. Got it. Thanks for the copy! In my little bit of research I did, I saw this "Driver Cleaner" too, but if I remember correctly, it didn't say anything about Win9X. Must've been a later version. I'll try this out tomorrow, and see if my Win98SE install either dies of viruses or fails to function. I doubt either would happen though. This is only for the VBEMP driver, it's not a generic method. the_ultra_code wrote: Got it. Thanks for the copy! So, I just finished using the "Drive Cleaner" software you provided, and it worked great! 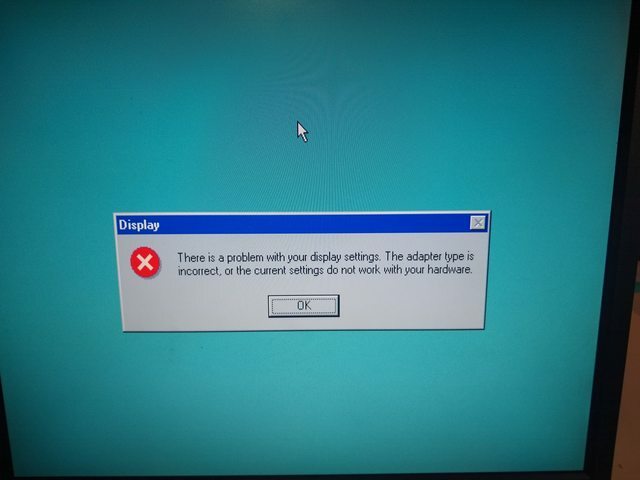 I downloaded it just fine, transferred it over to the machine in question, tried to enter safe mode and - rats!, HiMemX wasn't loaded, so Windows 98 SE, unable to comprehend what the hell 2GB of RAM is, gave me an error and shut the PC down. After removing the 2GB of RAM and inserting 512MB of RAM, I was able to boot into safe mode, install Driver Cleaner, and man, this program has everything. 3dfx, Nvidia, ATI, and some others. This, this gets a 10 from me . Any who, went ahead and made sure there was nothing ATI or Nvidia left in the system, and had no problems doing so. Rebooted and - oh no, what's this?!? Oh, nothing. Canceled my way through it, reinstalled the generic display driver Win98 has on hand, restarted, and the message was gone. Went ahead and uninstalled the program, just 'cause, and that's where I am now. Now both OSes are ready for whatever Nvidia card I throw at the system, and won't have to worry about any leftover drivers potentially ruining anything (although I feel the chance of that being the case is small).